Once you set the parameters, Animate will reuse them each time you import a Symbol in the Timeline view’s right side until you set new parameters. 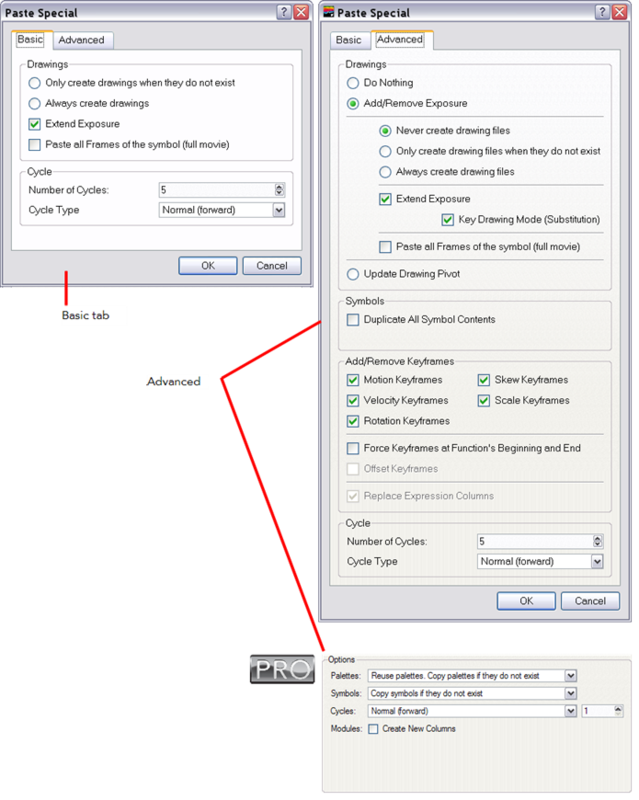 • Always create drawing files: When adding exposures to a drawing layer, new drawings will always be created. If drawing files with the same name already exist, Animate will create a new name for the drawing.